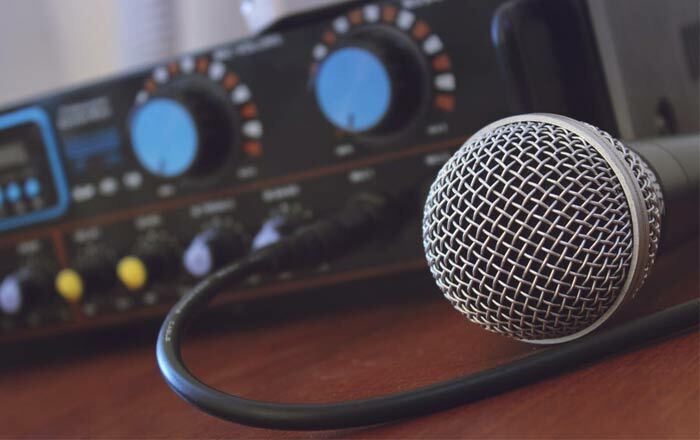 Voice changer software can be of use in a variety of different ways. We’ve gathered the best ones for you today so that you can explore their brilliant attributes. Oh, and these also happen to be free, which makes them all the more attractive. Whether it’s for professional reasons or just for pranking someone, voice changing is something that can be useful for many people. There are plenty of programs out there which offer this ability. On the basis of their features, they can be classified under real-time and non-real time tools. A real-time voice changing software works as it sounds. It enables you to instantly make your voice sound different in a live conversation. As for a nonreal-time voice changer, it asks you to record your voice in a particular file format and applies its magic to create a new file. One of the best voice changer software out there is Skype Voice Changer. It taps into your Skype conversations and lets you have plenty of fun with its tools. Whether you want to sound like a chipmunk, a robot or a troll, or add effects like echo, double tone or distortion, Skype Voice Changer will do the job for you. And you can even change the intensities of these voices if you wish to. Plus, there’s also the option of previewing them before you start your conversation. Another great attribute is that of replaying pre-recorded sounds. This way you can add the noise of a traffic jam playing in the background or make it sound like you’re surrounded by a waterfall. This particular voice changing software is based on Skype Voice Changer, but it distinguishes itself by offering its services across other IM applications like Yahoo Messenger and QQ International. All-in-One Voice Changer is targeted not only towards pranks but also towards professionals who want to make their voices sound better during interviews and other online interactions. And it provides the right tools for the same. However, it’s not entirely free, since there’s a payment of $15 you will need to make in order to keep using it after its trial period ends. This entrant in our best voice changer software doesn’t get much into the technicals of voice changing. It just provides you with simple tools to alter your voice into. Plus, it even has tuning levers to change the intensity of pitch and more. This simple software, however, does not work real-time, so you won’t be able to use it to change your voice during a conversation. It can be downloaded free of cost. 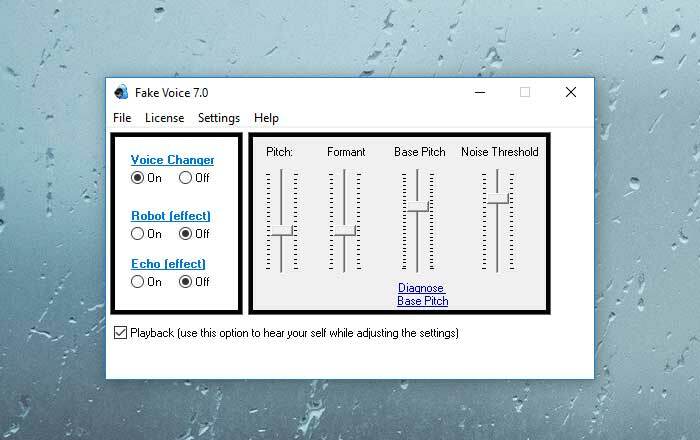 This one comes very close to being the best voice changing s software around. 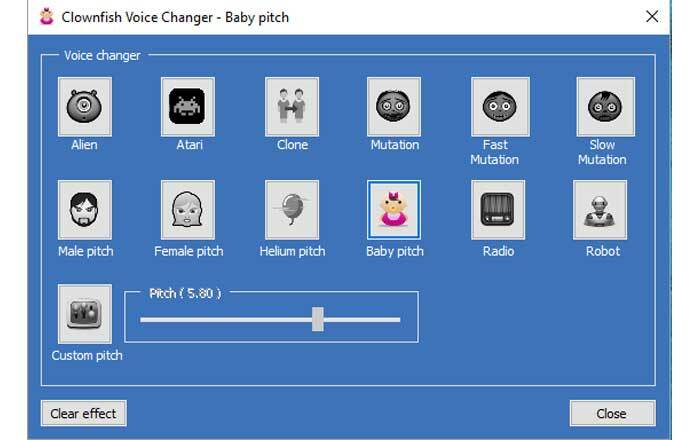 It’s an all-encompassing voice changing software which lets you turn your voice into that of a girl, a boy, a robot, an alien, a supervillain, a stadium announcer, a goblin and much more. It’s got a slick interface which ensures that you don’t waste much time in understanding the basics. Voxal is of best use during conversations, but you can even use it on pre-recorded audio to alter the way it sounds. VoiceMaster is yet another real-time voice changer in this list of ours. It’s nothing fancy though, as it’s just a pitch changer which works with Skype. 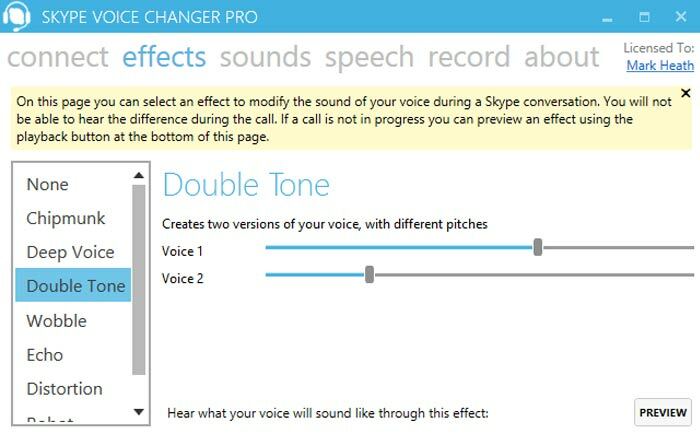 When you’re on a Skype call, you can fire this voice changing software up to get its interface and adjust the pitch of your voice. Neat waveform diagrams take over its interface once it’s in work mode. The slider in the middle allows you to adjust the pitch easily, which is the best part. 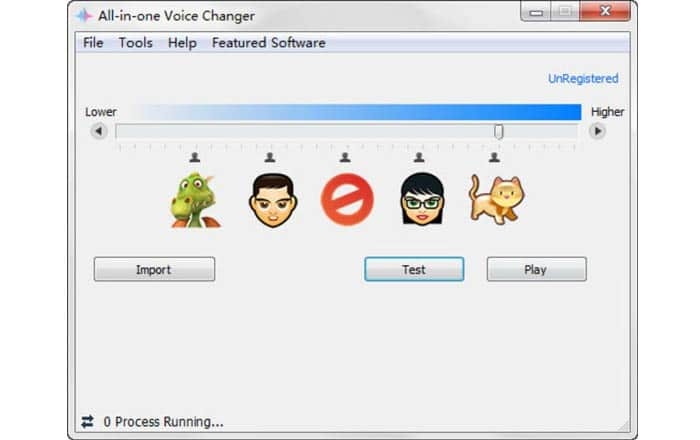 The next option in our free voice changing software compilation is called Hero Voicer which works with Skype as well as other audio chat applications. 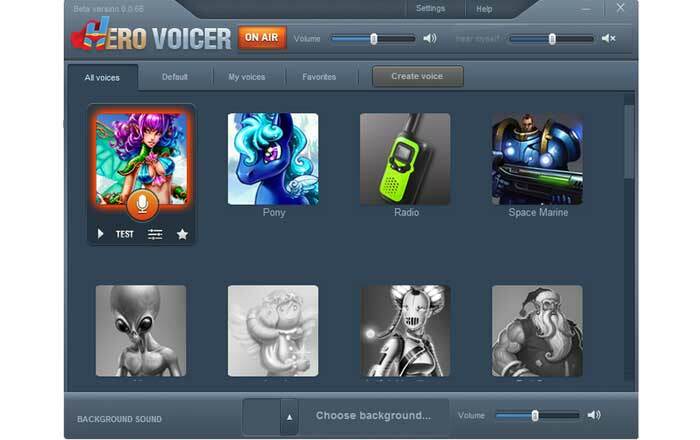 It comes pre-loaded with a number of fantasy character voices like those of a pony, a space marine, a robot and more. It has actually been targeted towards gamers who play a lot of MMORPGs. Using Hero Voicer, they are able to emulate the same speech in team chat that their character would perhaps have in the game. 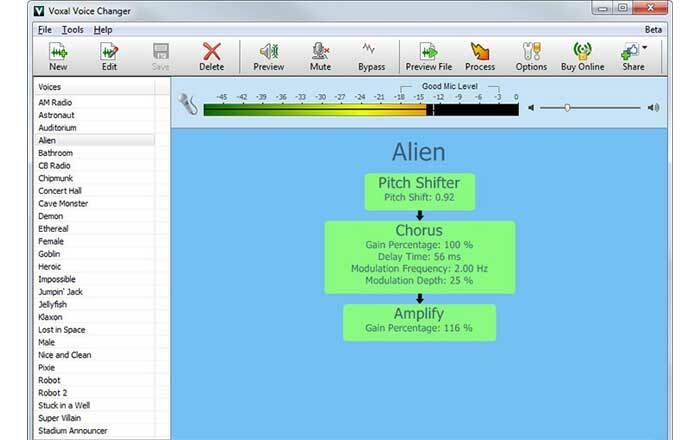 Clownfish Voice Changer is a pretty neat and versatile software for changing your tone. It gives you real-time playback of your changed speech and is very fast and reliable in doing so. And apart from just the audio recorded via your microphone, it even enables you to make use of sounds generated by other apps. Do take note, however, that Clownfish Voice Changer is slightly difficult to understand due to its interface. If you’re a Mac user, there’s no better option than Voice Candy. This voice changer offers you eight different voices you can convert your own speech into. Its drawback is that it does not work in conversations, but you can indeed record your speech for hearing it later. It even allows you to switch between its effects in the same recording to make it sound like a conversation is happening between several characters. This software is free to try for 15 days, but you’ll need to pay if you wish to use it after that. 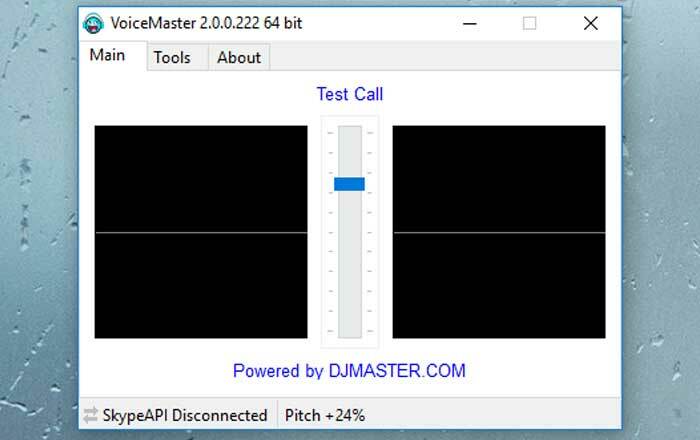 So that’s it for our list of the best free voice changer software. Do make sure to have a look at all the options to know which one suits your needs the best.